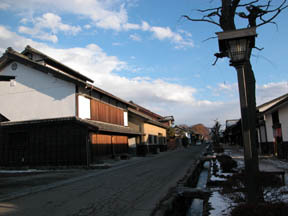 The Chikuma River river side and a national road will be the hot springs which gushed by 840-m digging at the foot of a nunobikikannon in Tomi (Kita-Mimaki-mura) near a border with Komoro-shi which stands still at a back street on the opposite shore quietly in Showa 58. 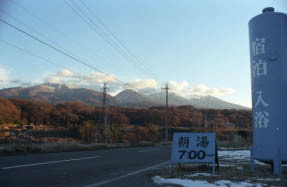 The round Heights of hot water, a Kurumazaka Pass, a takamine Heights, the mountain range of the morning glow to Asama-yama. 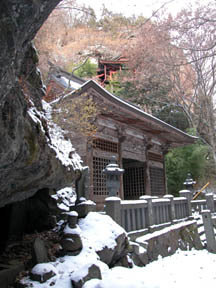 On Yamato and the head, the "temple dedicated to the Kannon" which hollows the rock of a precipitous cliff up is in about 15 minutes from a nunobikikannon and foot. 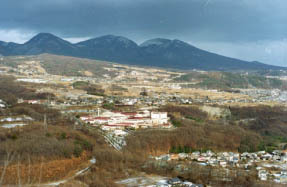 It prospers by sericulture the posting station of the Unno lodge and a northern-countries highway, and after that, and a magnificent mansion with a lattice door or the hut root of no less than two houses is built and located in a line. 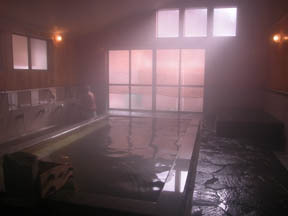 The house bath of an isolated lodging house "Nunobiki-kannon" also with a large role of a local one day trip bathing facility, lover a large number.